Expired 1d ago . Last validated 2mo ago . Used 10 times. Gorka G. I am validating that this deal works as described. Get 20% Off Your Order at Haven Collective Yoga (Site-wide). Add all your items to your shopping bag. Enter the code during the checkout process to apply this discount. Edward Arreaza I have tested this promo code and verified that it works as described. Just enter the code at checkout to get this discount.There may be some exclusions. jose marcano I am re-activating this expired deal. 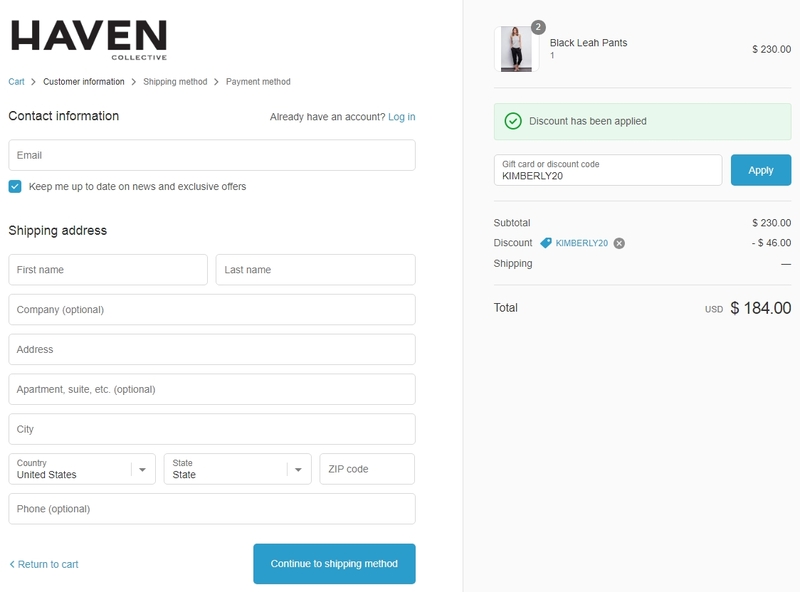 Simply enter de code during the checkout process to apply this discount. There may be some exclusions that apply to this deal. 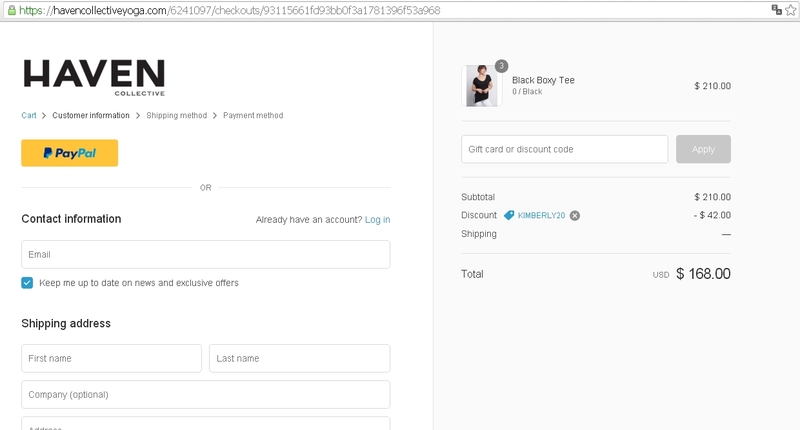 Blac I am validating that this coupon works correctly, I have checked and it works, you only have to add in the cart the items to buy and then apply the coupon when you proceed to make the payment. Check the Screenshot for more details.